A great starter ukulele! 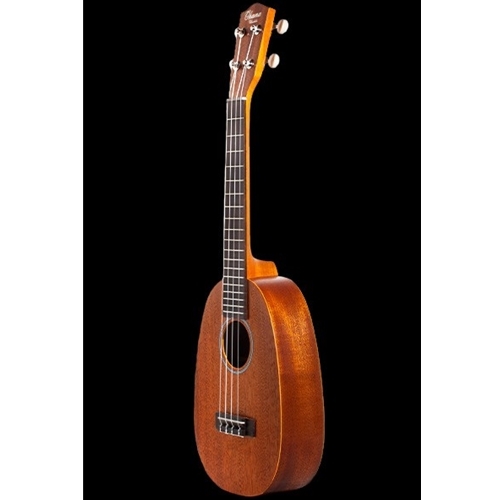 The unique pineapple-shaped body paired with Mahogany wood, gives this ukulele a very sweet and projected sound. Mahogany wood provides this model with consistent tone and the round shaped body provides the additional room for even greater projection. It is the uniqueness of the body that makes the PKC-10, and other Ohana pineapple models, a favorite model for many ukulele players. The high quality geared tuners, strings, and construction make this an excellent choice for beginners of all ages! The concert scale gives it extra spacing on the fretboard for those who find the soprano scale too small for their hands.